The Airence-USB on-air mixer is a radio production mixer, a 'smart mixer' with an integrated, USB-based control section that interfaces four stereo audio channels from and to an external PC, as well as programmable remote controls. It offers four channels each with microphone, stereo line and USB inputs and two channels which each have inputs for telephone and stereo line and an 'extensive master section designed with radio in mind'. Extension consoles can be added to increase the number of channels in increments of six. The mixer may be rack-mounted or sunk into the surface of a console or desk. All connections, other than the operator headphones socket, are on the side of the case which would be uppermost when rack mounted. Each microphone/line/USB channel has a balanced, 2000 ohm, 3-pin XLR microphone input with switchable +48V phantom power and insert point for external signal processors such as compressors, limiters, EQ, and effects. Two RCA (phono) connectors provide the stereo line input; an adjacent jack provides a start connection. Each telephone/ line input channel has a pair of RCA (phono connectors) with adjacent 'start' jack for the stereo line input and two RJ11 sockets for the phone line and handset. The master section has pairs of RCA (phono) connectors for the following stereo outputs: Programme, control room monitor, auxiliary send, studio monitor, record feed, sub-mix and cue. Two pairs provide inputs; auxiliary return and external input. Two 3-pin XLR connectors provide the main stereo output. A jack socket provides the announcer headphone feed. A second jack provides the microphone-on signaling. A USB type B connector provides the four USB channels that are fully USB 2.0 compliant. Two 5-pin XLRs are provided for power supplies and a 15-pin D-sub socket provides the connections to and from any extension units. On the control surface, each channel has rotary controls for gain and auxiliary send. They all have switches to route the channel to 'Sub', 'Prog' and 'Cue' mixes and to turn the channel on as well as a 100mm linear fader. The microphone/line/USB channels also have switches to select between microphone, line and USB inputs. They have rotary controls for 3-band EQ, with +/-12dB at 12kHz shelving for high frequencies, +/-12dB at 1kHz bell curve for mid frequencies, and +/-12dB at 60Hz shelving for low frequencies. The illuminated 'On' switch is electronically attached to the built in mechanical fader start, enabling the selection of a play-out start either by fader or via the switch. The fader start generates, when in the microphone mode, a microphone-on signal to switch the optional On-Air Light. The telephone/line channels have an additional rotary control to set the level sent to the phone line, a switch to select phone or line input and two controls to adjust the line balance; a screwdriver preset for the resistive element and a switch for the capacitive. Two switches are provided to connect the call and talkback to the caller. Conversation between DJ and caller is thus possible by pushing the Cue button. The master section has two bar meters each with 11 LEDs. They can be switched to show the external input rather than the main output. The record output can be switched to Sub or Aux mixes rather than the main. Rotary controls are provided for auxiliary send and return and Sub mix; all these may be checked with the associated 'Cue' buttons. Further controls are provided for the studio monitors and announcer headphones, the control room monitors and operator headphones. Buttons are provided to talk to the Sub and Aux mix, the studio monitors and Announcer headphones. A switch is provided for 'NonStop' where the USB input is directly to air. 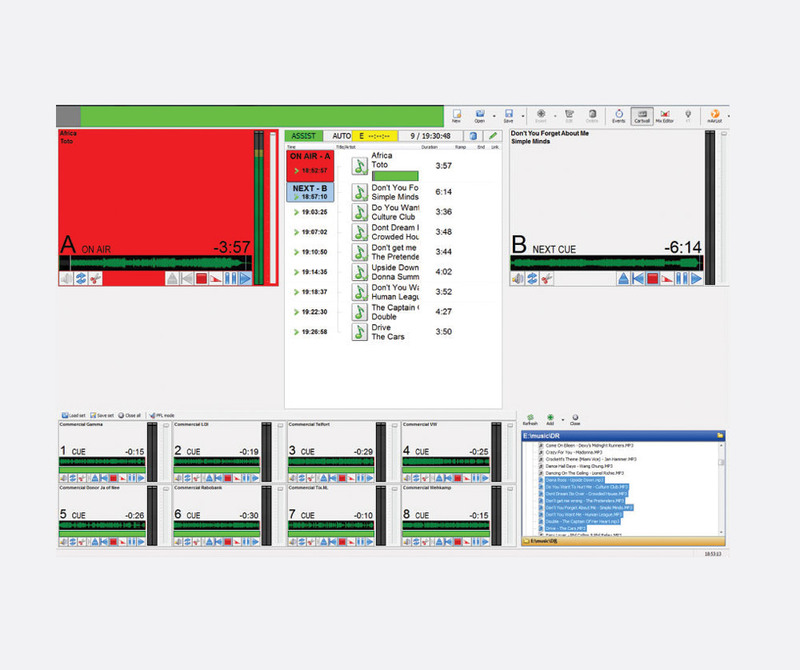 On the right hand side of the front facing panel there are 24 illuminated green/red/yellow switches that can be used to control functions in radio automation software. Functions include starting jingle machines or switching between live and NonStop. A switched digital power supply with an input range of 100-240V is supplied with the Airence-USB console. Power consumption is 60W. An additional power supply can be connected to the redundancy input on the back of the console. Usage notes: For VOIP use, D&R recommend using the CISCO SPA112 as an interface between the two D&R Telephone modules and the Internet. For ISDN use they also recommend using the 'Fritz Box type 7390 to convert the ISDN into an analogue line' so that it can be connected directly to the telephone channels. Optional accessories: Airence-Ext extension consoles, Aircast software, On-Air Light, see below. An AES digital output can be added by the optional Airence-USB AES/EBU board. This can be mounted in the redundant power supply connector shell on the rear of the console. This add-on extension console can be connected to the main unit via the included 15-pole Sub-D cable. By doing so it adds six, triple input, channels each with balanced 3-pin XLR input and two stereo line inputs on unbalanced RCA (phono) connectors. These channels have insert points and start logic as described for the main unit. More than one Airence-EXT can be added to gain additional channels. Dimensions: 302 x 355 x 101.50 (wxdxh) mm. Weight: 7kg. 'Drop through' hole: 270mm x 344mm. Maximum furniture top panel thickness: 22mm. 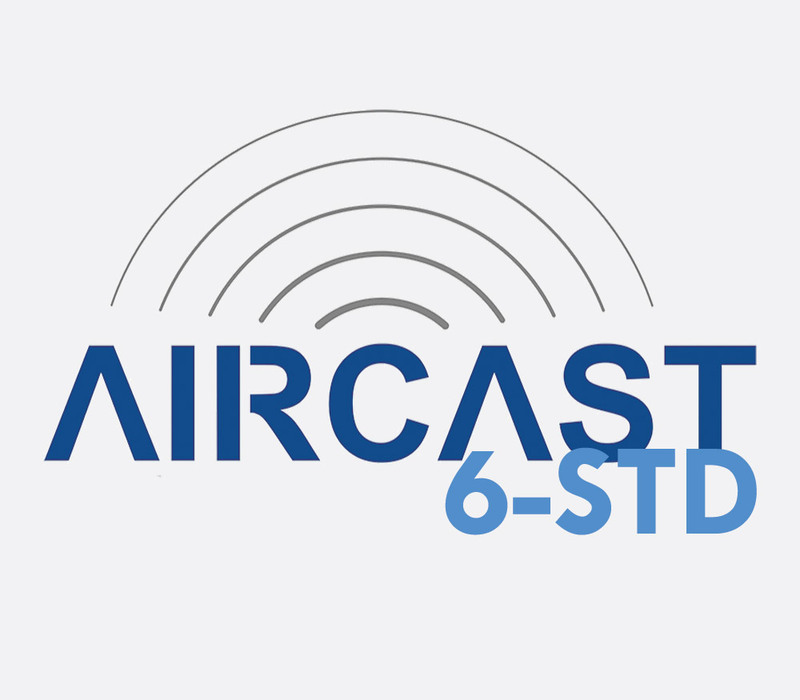 Aircast 6-STD is a single user radio automation system for Windows based PC computers. 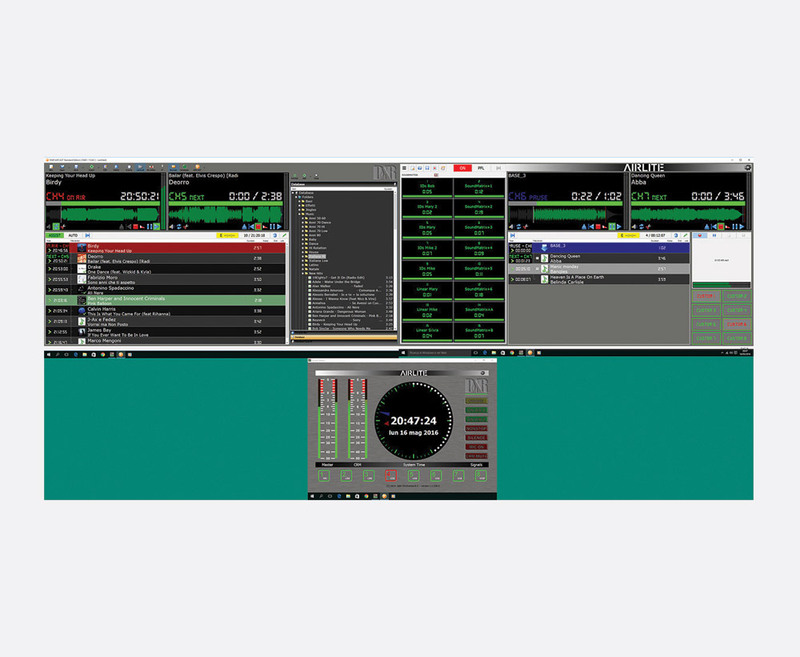 It is designed to suit smaller radio stations especially those in community radio, internet radio, hospital radio and schools. 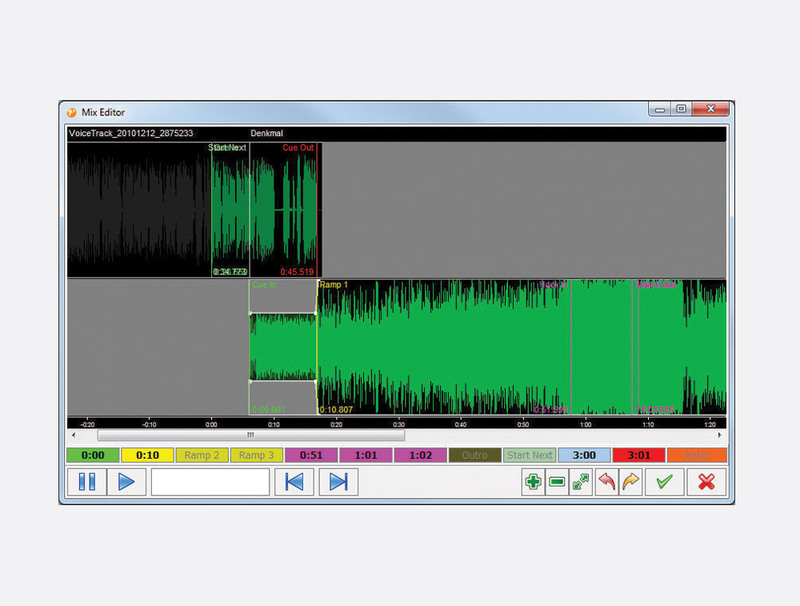 It supports virtually any sound card, works with standard PC hardware and offers smooth interfacing with D&R mixers. 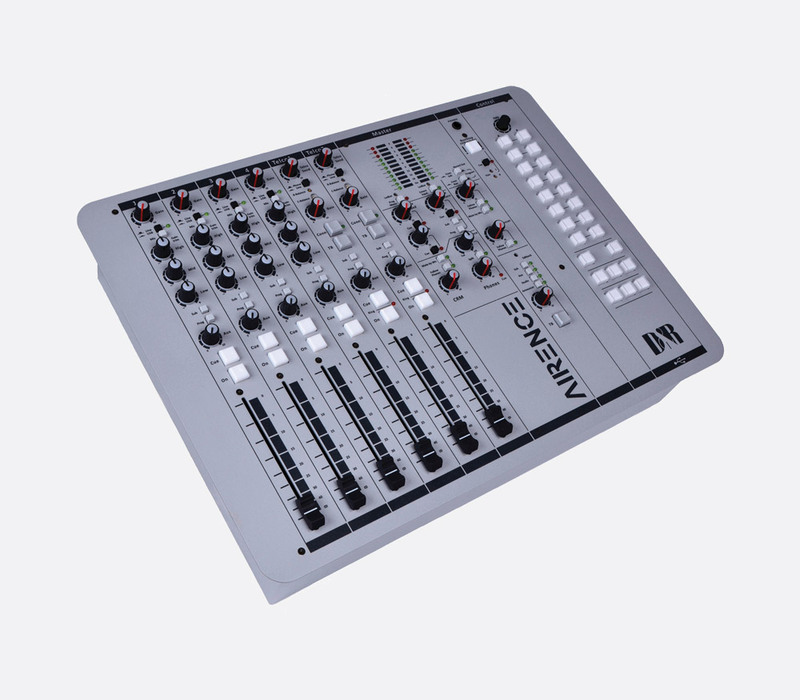 There are various remote control functions for controlling fader start, 'next', and other remote requirements. 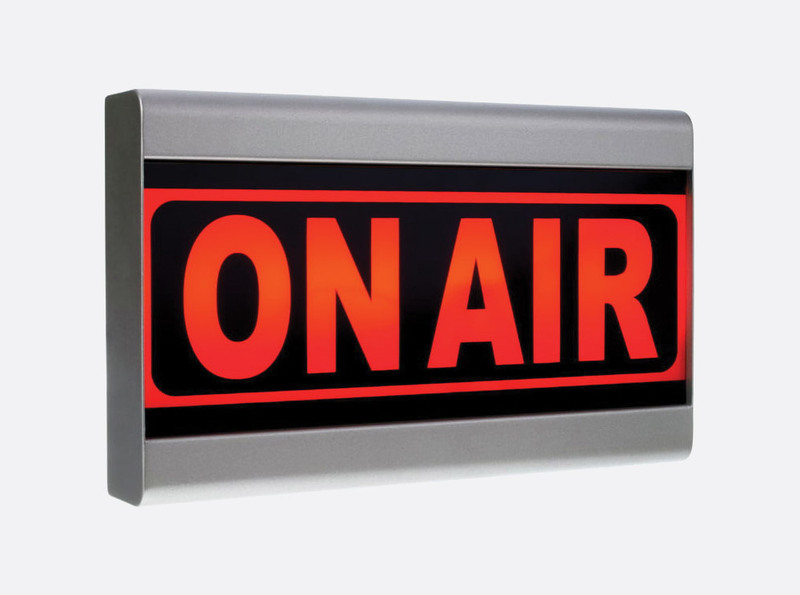 On Air Light is a self-contained, on-air signaling light for use in broadcast environments. When activated it shows a bright 'On Air' sign in red, backlit by LEDs. Power is provided by the included 12V DC, 1A external power supply. 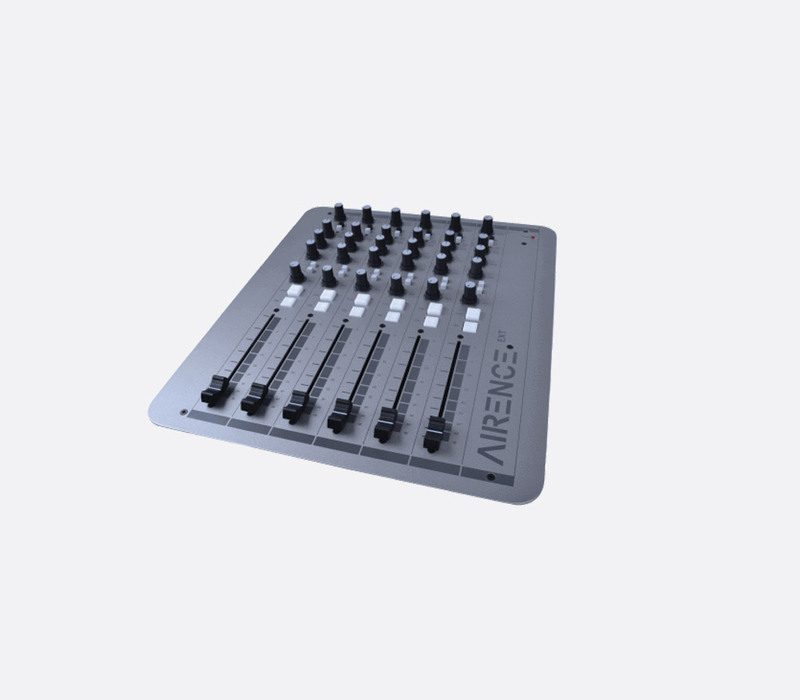 Control is via a twin wire cable coming from the microphone switching output (1 x 6.35mm stereo jack socket) on the back of the Airmate-USB, Airence-USB or Airlab DT console, or from any console that offers microphone control switching. Control is achieved by connecting the two wires in the cable. Both the power and control must be directly hardwired to a barrier strip on the On Air light. Dimensions: 260x125x65 (wxhxd) mm. Cable entry holes and key slot holes are provided on the back. 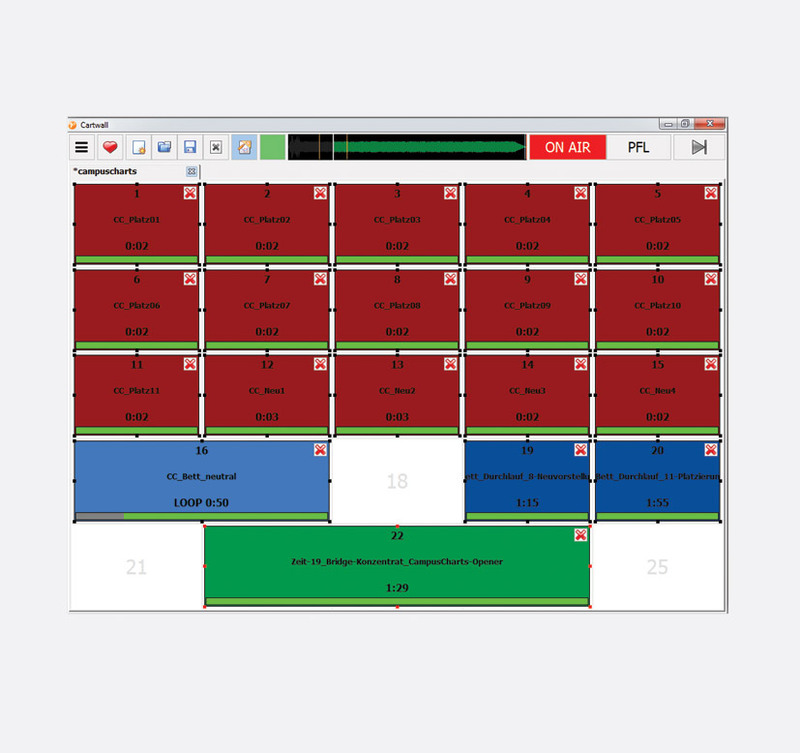 Studio Remote is designed to the remote interface for communications between the announcer or guest and the mixing console. A built-in headphone amplifier with stereo 6.35mm jack socket and rotary level control allow monitoring. Two red/green illuminated 'cough' and 'com' buttons allow the user to mute the microphone or make the communication channel live.